Feeding mother plays a key role in the development and health of the infant toddler. Young mother need to know the basic rules of drawing up their menu, because it is not only useful, but also help with strict adherence to lose weight gained during pregnancy. The basic rule is to use enough liquid. It can be pure water, weak tea, fruit drinks, fruit drinks, herbal teas. The latter includes a variety of herbs that stimulate milk production, such as rose hips, thyme, nettle, Melissa and fennel that helps in the struggle with the increased flatulence in babies, especially during the first months of life, and its use by the mother will not be superfluous. Also I want to note that all drinks should be only lightly sweetened, as excessive sugar baby for anything, and besides, it can also cause gas. The total volume of liquid should be about 2 liters per day. The meat must be diet, is therefore recommended: poultry, meat, Turkey, rabbit, lean beef and river fish. To prepare these foods are best steamed or boil it. You can make a variety of meatballs and burgers that are very juicy, if you add them in the allowed vegetables. Vegetables: beets (which helps with constipation and my mom), carrot, a little potato, zucchini, green bell pepper, celery, eggplant, onion (in the food). Vegetables are eaten in moderation and not desirable in its raw form in the first stage of feeding. It is necessary to exclude: cabbage, mushrooms, all legumes, corn, cucumbers, stems from the increased ability of these products cause bloating of the baby. Fruit: bananas and baked apples. Do not experiment with exotic fruits, which can be strong allergens (mango, avocado, pomelo, grapefruit, kiwi and even tangerines and oranges). Pastries and bread: as for pastry, you are allowed candy, marshmallows, marmalade, biscuits. Somewhere in three months it will be possible to use a normal sponge cake with apples (Charlotte), but if the baby is not allergic to eggs. The bread is best consumed from wheat flour, as well as yesterday's, in which the action of the yeast stopped. Grains: eat cereal! Very useful buckwheat and oatmeal. 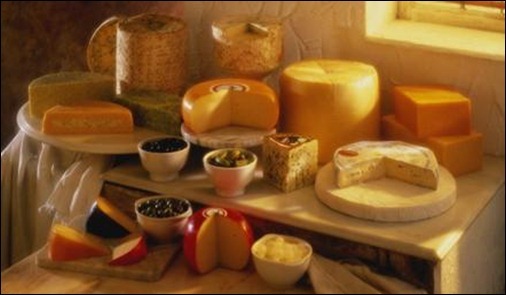 Dairy products: cheese (hard varieties) and butter. Other dairy products were consumed is not desirable or very carefully because they can cause lactase deficiency. Try not to eat foods that can cause allergies: chocolate, cocoa, honey, eggs, nuts, meats, fruits, and berries of bright red and orange, marinades, fatty fish, broth, fried foods and canned food. Compliance with the rules of supply nursing mothers will help reduce the appearance of colic and flatulence in the baby.